Abundance: A single record from the Coastal Plain, probably more abundant in the right habitat. Habitats: Has been found near mixed hardwood forest/open forest. - E. emquu- a dark orange species with a prominent pattern, similar to E. noncuspidis but also different. The shape of markings on the wings are different, with thicker, more block-shaped markings contrasting with the thinner, olbique markings of E. noncuspidis. The pronoutm has a bold Y-shaped mark, with an orange bar on the lateral margins. The vertex has a bold orange line, and there are often lateral branches that give this species as cross-shaped mark. This species has so far only been recorded from Gulf Coast states. For images that are likely this species, see: BG. - E. retusa- a slender species, with a somewhat long, pointed head. 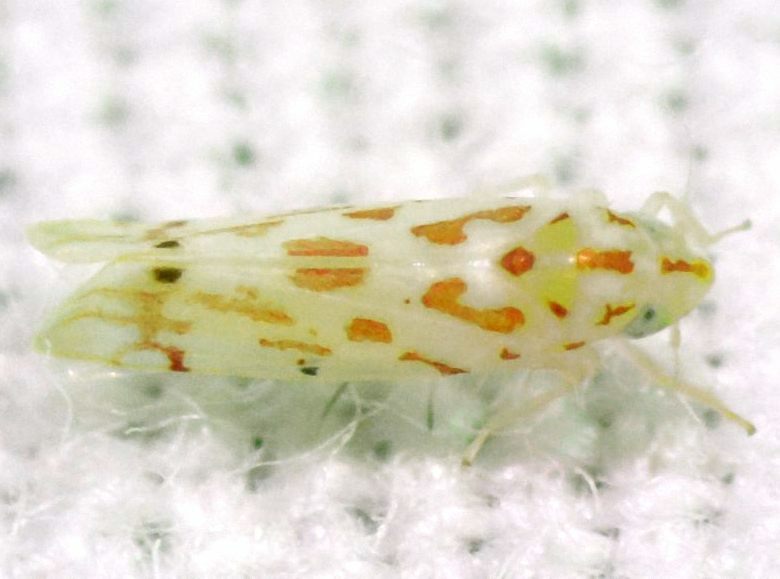 Markings are orange (rather than reddish) and a bit broader than in E. noncuspidis. Scutellum is yellowish-orange, and the mark on the pronotum is more Y-shaped than a straight line. Mostly recorded from Florida. - E. omani- similar to E. retusa in color and pattern, though not as slender. 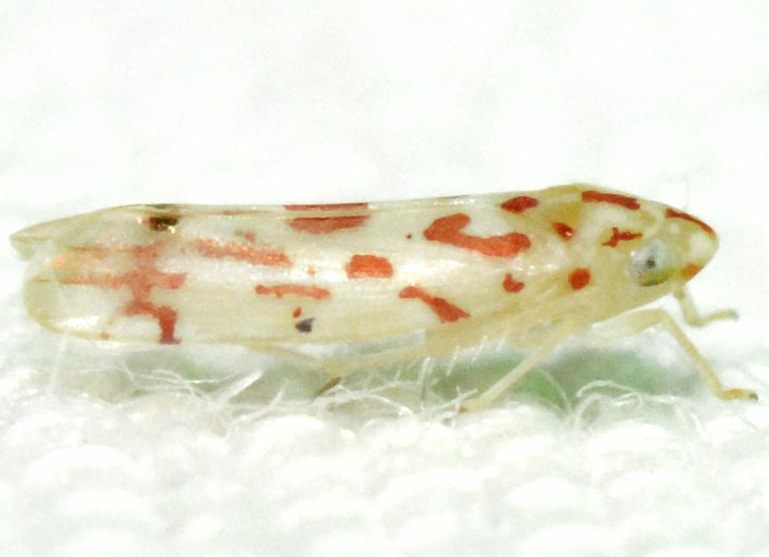 Pronotum has a prominent Y or M-shaped mark. Not yet recorded from east of the Missisippi River valley.